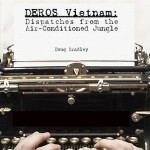 On Friday, November 16, host Jonathan Zarov speaks with Doug Bradley, author of DEROS Vietnam: Dispatches from the Air-Conditioned Jungle. 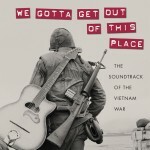 Though this fictional work is not about the actual battlefield, it is based on Doug’s experiences in Vietnam, and deals with “the battle for the human soul.” Doug explains the acronym DEROS -Date Eligible for Return from Over Seas, something that was constantly in the minds of the men who were serving overseas, waiting to return home safely. Doug explains that he returned from Vietnam unharmed, and felt a great amount of guilt about those that did not return, or who returned with injuries. 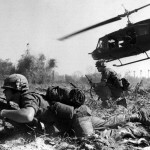 To deal with this, he worked to help other Vietnam vets, and decided that it would help to write about it. Inspired by Hemingway’s In Our Time, Doug’s book is a series of connected short stories that deal with the war experience. 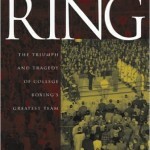 Doug also reads an excerpt from his book. Visit Doug Bradely’s official website.